Today, processes of active development of civil society in Ukraine are taking place, and therefore there is a need for a public discussion of pressing social problems. 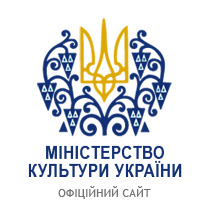 As part of the implementation of the National Strategy for Promoting the Development of Civil Society in Ukraine for the period from 2016 to 2020, a discussion on the "Current Market of Actual Professions: Ukrainian Realities" was held at the library on April 10 with the participation of representatives of state institutions, entrepreneurs, teachers and students of Mykolayiv high schools. Head of the Department for Professional Training of the Mykolaiv Regional Employment Center Luisa Vinichenko briefed participants on the state of the modern labor market in Ukraine. During the discussion, she appealed to business representatives with a proposal to establish a partnership in shaping the modern competencies of the workers required by the market, by introducing an independent qualification certification, participating in the preparation, registration and licensing of training programs, the practical application of the skills acquired at the enterprises. Thus, during the discussion, recommendations were made to solve the problems of training of competitive specialists and to regulate the demand and supply on the labor market of Ukraine.